My readers should read Vanessa’s article below, in the “News and Comment” section, about how the U.S. engineered the rebranding of Alqaeda and then, managed to remove the terrorist jihadist cannibals from the list of groups which practice terrorism. It is unbelievable that a country could be so obsessed with a goal such that the means to get there could violate all the core principles which made that same country great. Whew! HOMS: Canthama wrote a lot about this in yesterday’s post. It is true, the Syrian Army has swiped away large concentrations of ISIS and U.S.-controlled sociopaths from vast areas of the Eastern Syrian Desert, freeing critically important natural resources and denying ISIS any further involvement in producing fuel for trade with Turkey. At Khunayfis, all phosphate mines have been cleared of terrorists. The net result is the liberation of close to 5,000 square kilometers of land. At Al-‘Ilyaaniyya, which was liberated from the Fake Syrian Army (FSA), south of Khunayfis, the SAA has begun radiating out toward Al-Sukhna which remains under ISIS control. Al-Sukhna is a key jumping-off point for the Syrian Army if it chooses to encircle Al-Raqqa City. 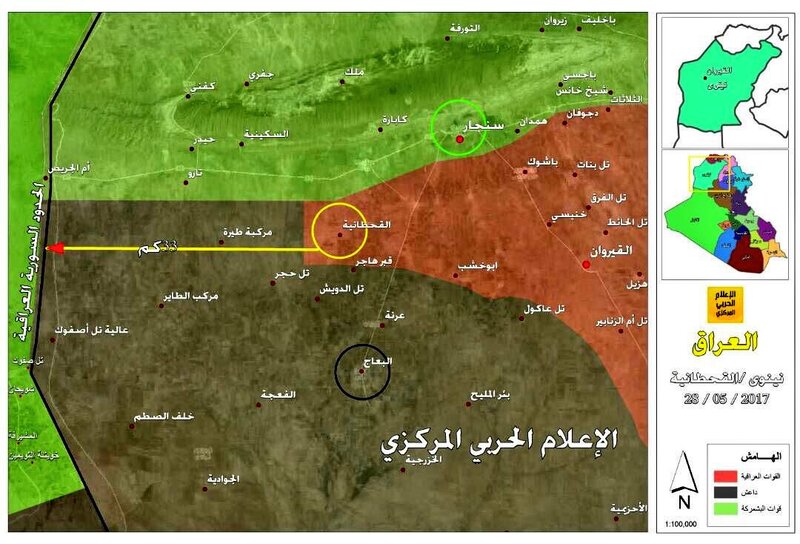 Also liberated was the Abtar Mountains and the Al-Sawwaana mines. Throw on to that Al-Baarida, Al-Busayri and Zaqaaqiyyaat Khaleel Mountain. But, even more impressive, was the Russian Air Force’s stunning annihilation of a huge convoy of ISIS rats leaving Al-Raqqa in order to further a plan drawn up by the United States to open highway access from Al-Raqqa to Palmyra. The plan was not to destroy more Roman ruins at the ancient city. No, all of this was a part of the project to install a vassal state that would be controlled by Kurd allies of the U.S. in order to prevent the extension of the natural gas pipeline from Iran to Syria. The ISIS force departed Al-Raqqa on May 25, 2017 at approximately 3:00 a.m. local time. 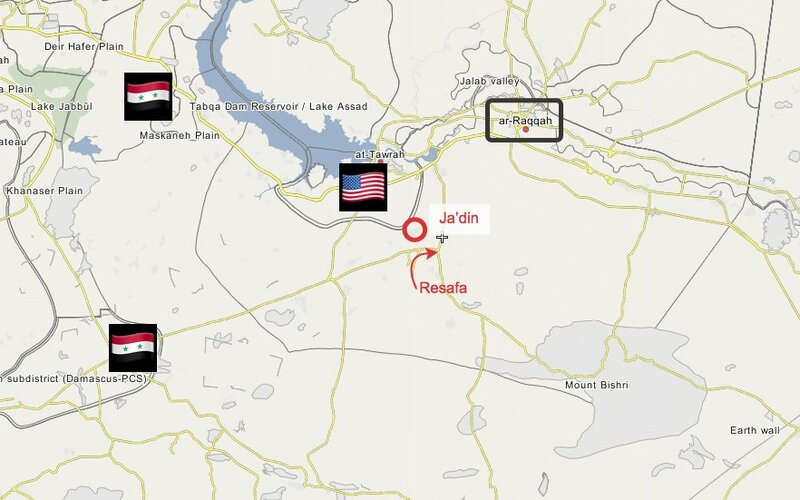 Russia had received a heads-up from SAA-MI about both human intelligence reports and intercepted communications between American, British and Jordanian terrorist enablers in the MOK HQ near Al-Naseeb. 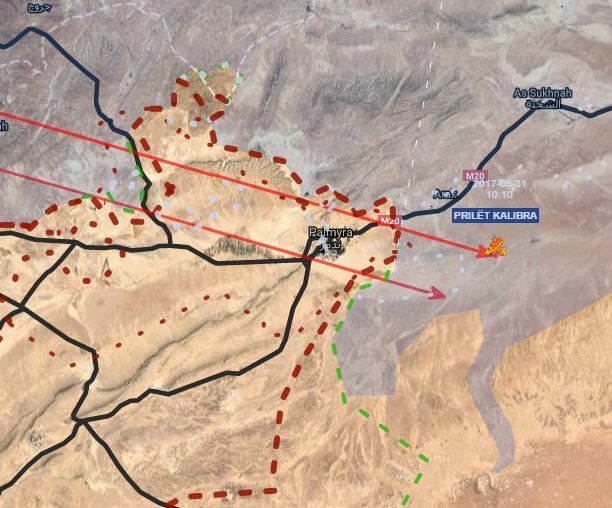 According to my sources, the U.S. promised to keep the SAAF at bay as the large ISIS force moved south toward Palmyra. An agreement was drawn up between the RuAF and the Syrian High Command to permit only Russian aircraft to fly since Syrian aircraft could be shot down by the Americans if they were interfering in some farfetched and typically idiotic plan hatched in Jordan. With the aircraft carrying Russian insignia, there was no conceivable way the U.S. could interdict Moscow’s airpower. 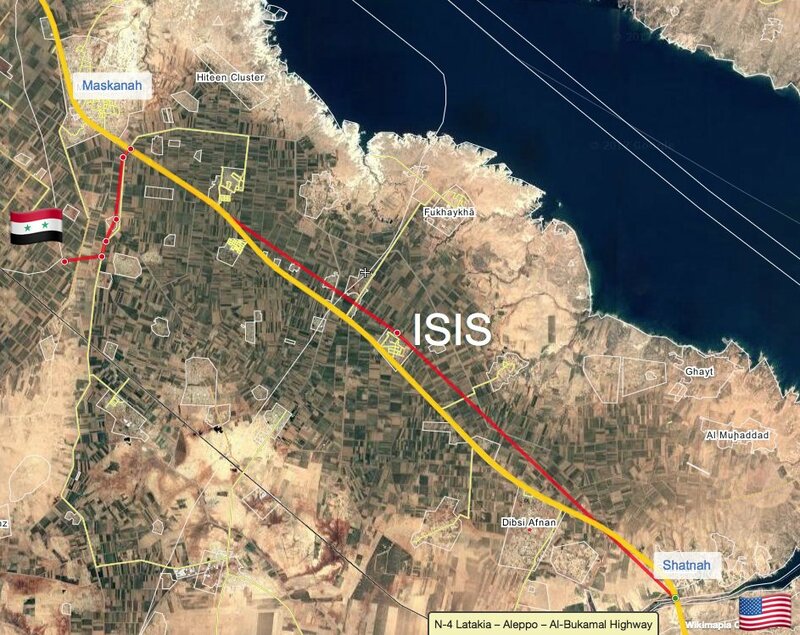 That left ISIS, on May 27, 2017, as an open target on the highway south just before Qal’at Jabal Jaabir. Russian Sukhoi bombers unloaded thousands of tons of ordnance on a densely packed convoy carrying not only rodents, but large quantities of resupplies for besieged cannibals in areas, like Khunayfis, soon to be liberated by the SAA. Aerial assessments and intercepted calls by ISIS rodent officers told a story of utter devastation and complete American/British failure. It is estimated that over 120 ISIS rats were killed in the air raids. Over 500 are reported wounded or missing. Of the 39 pickups traveling in the convoy, 32 were confirmed destroyed. All pickups were armed with 23mm cannons. It is highly unlikely that ISIS will cooperate again with such imbeciles such as those degenerates in Jordan. It has also become quite obvious that James “Mad Dog” Mattis is a pathological liar when he states that his war against ISIS is one of “annihilation”. While all this is going on in Eastern Homs, the Syrian Army has racked up startlingly formidable victories in Aleppo. As of this morning the following towns, villages and sites have been liberated: Al-Saalihiyya, Al-Shuhadaa`, Al-Battooshiyya, Jibaab Al-Mas’oodiyyda, Khazraaf, Al-Far’iyya, Musareeha, Al-Mazza, First Tishreen Farms, Al-Waasit, East Al-Sukkariyya, Bandooqa, Maskana Train Station, Al-Hameediyya, Dawr Ahmad Yaaseen, Al-Qaahira, Al-Boo-Maani’, Khaan Al-Shi’r, Khirbat Al-Sawda, Al-Himraawi, Maskana Cattle Market. The last group of Zionist-supported freaks of nature has departed Barza leaving that suburb now rodent-free. They are on their way to oblivion in Idlib. what will become of are oded yinon. ohh kaballaralla babylon talmud what has become of are soldier rabbi. Syria and its allies will not bend their knees to the vile and despicable West and its proxies. Every Syrian victory gives hope that the West will be pushed back into eating itself. The SAA and its allies got a ton of momentum going for them right now. The imperative now is to capitalize on it and keep pushing ahead until ALL terrorists have been defeated, not just ISIS and Al Nusra. Then, leave Idlib for the end! There is little to no covering of the events happening in Syria here in the us. The people here are oblivious to the role they play. It is unbelievable that a country could be so obsessed with a goal such that the means to get there could violate all the core principles which made that same country great. I just finished reading The Half Has Never Been Told: Slavery and the Making of American Capitalism by Edward E. Baptist. I always knew slavery was barbaric, but until now did not know that the lash was used systematically, on a daily basis, during cotton harvest. I’m sorry, Ziad, but the core principles on which the US was built were terror and genocide. Great to see the SAA sweeping to victory. Tragic to see what the US govt. has become. Shameful and embarrassing. Key now is to hold on to ground gained and continue advancing. Encouraging to see the Russians destroy the rat convoy. The tide has turned and the zionist plan will fail. The U.S. is casting its net over the desert between Iraq and Syria, Saudi Arabia and Jordan to install military bases and power-structures that will guarantee major influence in the area for the foreseeable future. A part of that plan is to develop Sunni proxy forces that will keep the government forces of Damascus and Baghdad out of the area. Another part is to privatize important infrastructure to keep it under direct U.S. control. 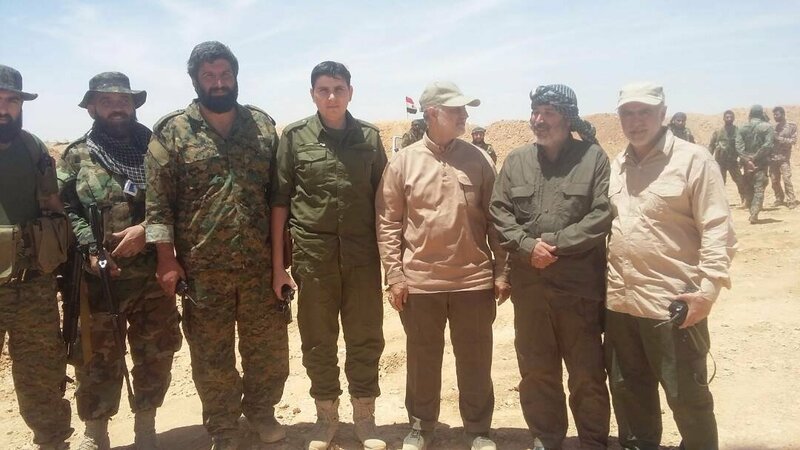 PMU Spokesperson Hadi Al-Ameri: All the division projects in Syria will end & the heroic SAA will regain control of security. 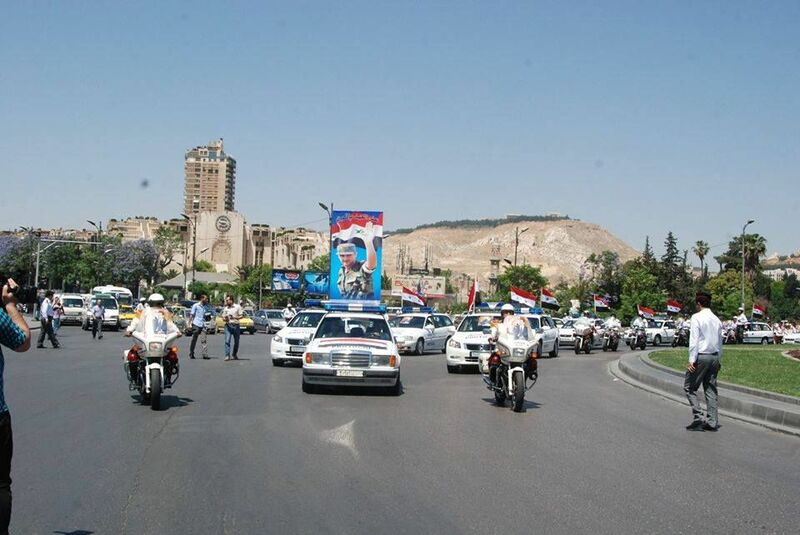 Ministry of the Interior for Internal Security Forces Day.. The day the french hanged those Syrian Guards for refusing to salute the French flag. 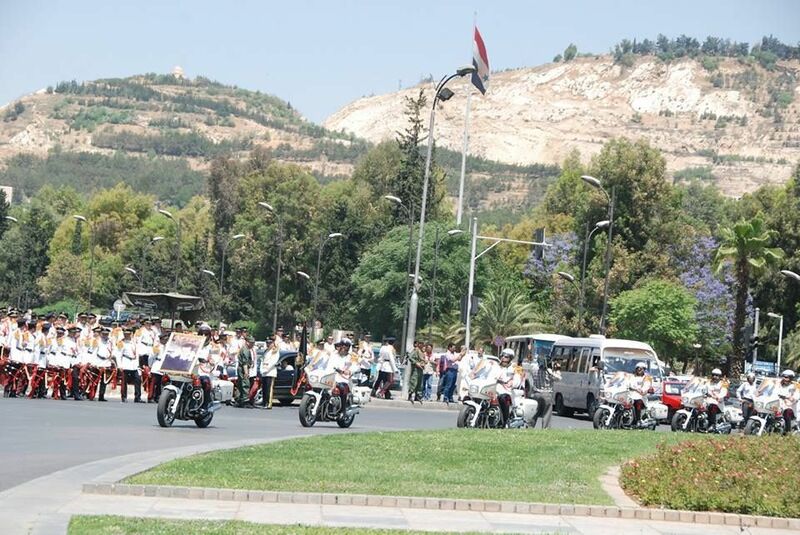 The Internal Security Forces Day is on 29 May, declared after 29 May 1945, when French forces shelled the Parliament building in Damascus. While the Manchester story has dominated international headlines, far less attention has been paid to other stories this week involving the deaths of civilians. In Syria and Iraq, U.S.-led or backed bombings have killed dozens of civilians in the last week alone. Meanwhile, in Yemen, the human rights group Reprieve says U.S. Navy SEALs killed five civilians during a raid Tuesday night on a village in Ma’rib governorate. 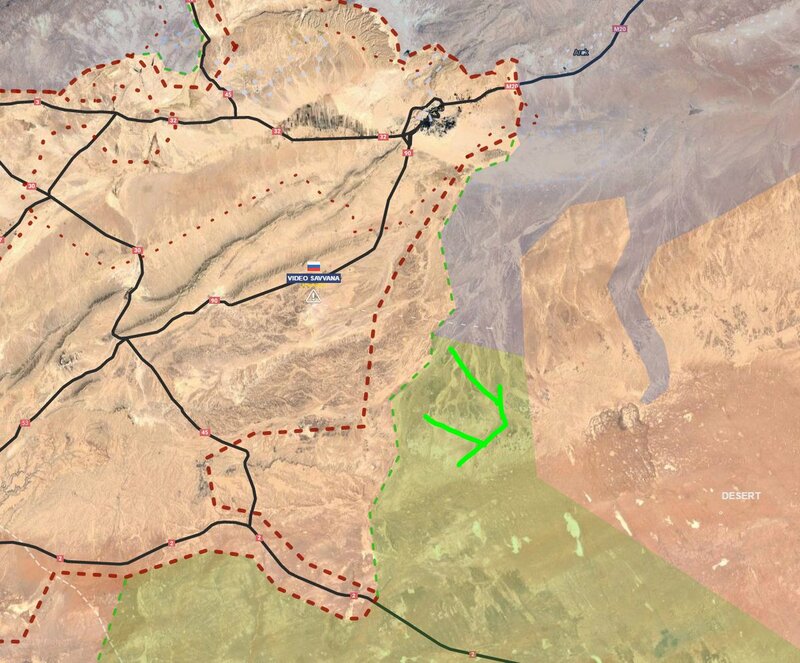 SAA/Tiger_Forces are less than 20 miles from Shatnah, the boundary US-backed ‘SDF’. Paveway 4 on MoA just speculated that the Baghdad-(Ruthbah)-Amman toll road which is about to be “privatised” with (i.e. 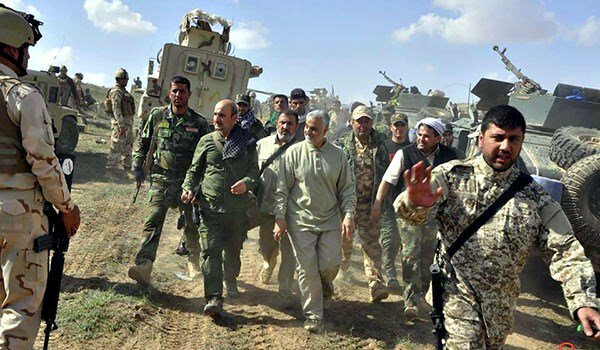 STOLEN BY) the Americans from the Iraqis and its corridor guarded by ACADEMI will also be used to cotain, shield and shelter the Iraq leg of the Kirkuk-Israel pipeline. If true, this would have mixed consequences for Syria but very uniformly negative ones for Iraq. Wondering if Canthama, Ziad or any other locals have any info, let alone opinion, on this yet. When you get one problem resolved another appears. 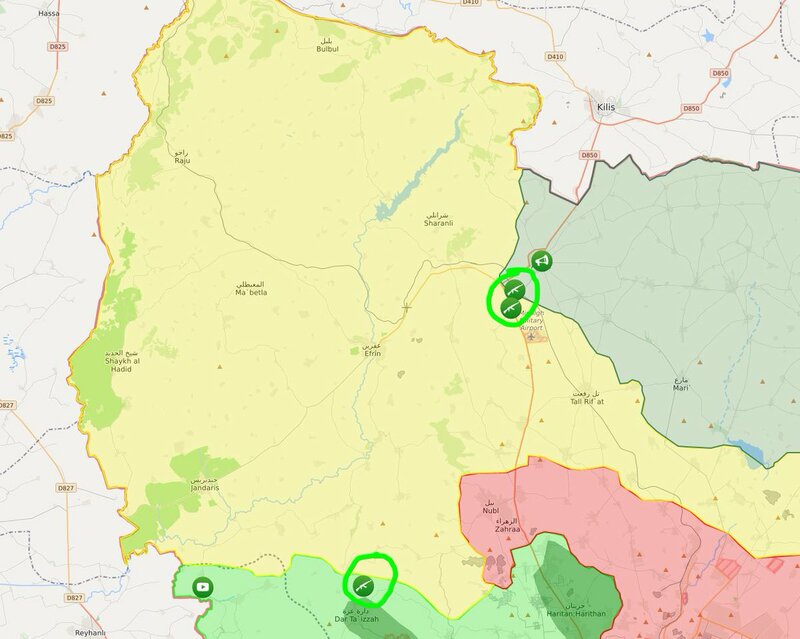 It is being reported Turkey is helping to create a new army in Northern Syria. The army will be named National Army. I guess no other names were available and the previous name FSA had lost its luster..
Thats exceptionally good news, God bless the SAA and all Syrians, may the others whom wish their destruction end in Hell, and that INCLUDES Australians! After blockading coal for electricity generation and Steel production and seeing no ill effects since now a shut downed steel industry does not need any electricity can they really out do this? Yes Ukies can… Ukie azov major assault ended up with 10 killed and 15 injured. In addition, 15 armored vehicles were destroyed. The assault was against themselves.. Always so refreshing to visit and read Ziad’s positive articles (and Canthama’s) on the progress of the defeat of the zio-stooges. It is the only web site I read with joy every time. Thank you Syrians, and supporting Ruskies. Things are getting hot with the arabs as some have stated here, great. Just a nice article re Putin on Syria and Assad( although the title is about the meida, read the end bit, is he sticking up for them? you better believe it, just read his reply to a “journalist” of the MSM. #Belgian SOF #CJTF advise & assist operation north of #TalAfar. 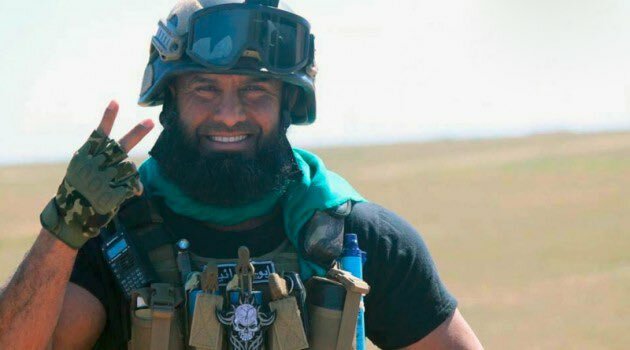 SAA must hurry up to unite with PMU ! RuAF must cover the corridor to Tal Afar NOW !! The targets were located inside the T3 Pumping Station.